British singer David Bowie attends a press conference at the 36th Cannes Film Festival in 1983. 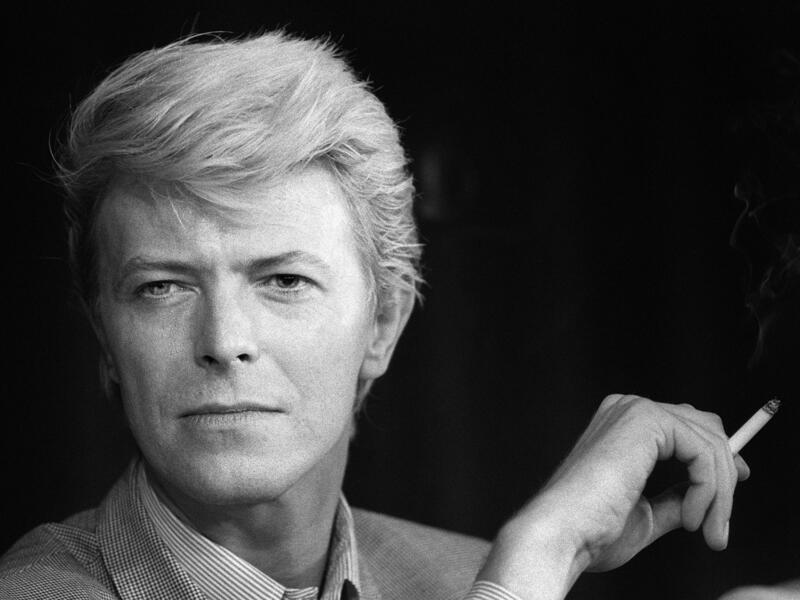 Bowie died Sunday at the age of 69. Bowie performs as Ziggy Stardust at the Hammersmith Odeon in London on July 3, 1973. 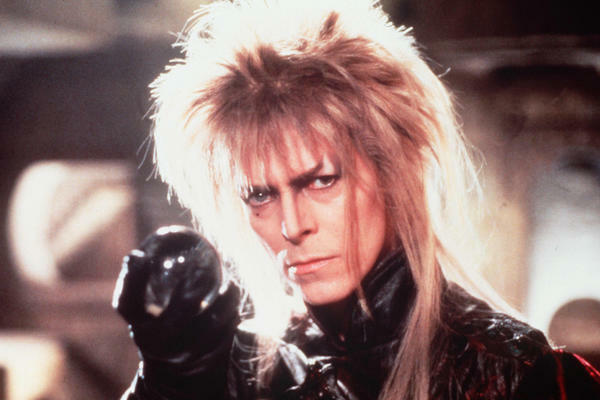 Bowie starred as Jareth the Goblin King in Jim Hensen's 1986 film, Labyrinth. Bowie performs on stage at the Forum in Copenhagen in 2003. Bowie and his wife, Iman, attend the 2005 CFDA Awards in New York City. 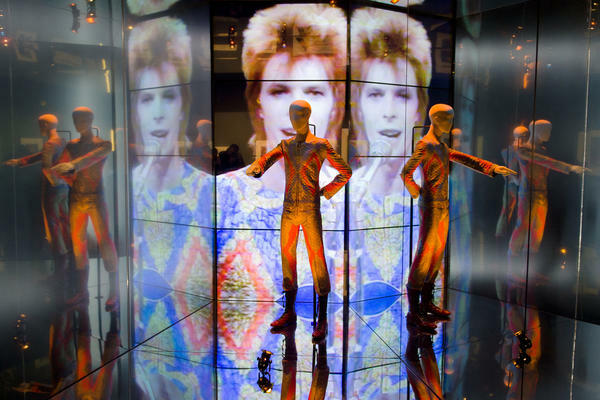 The "Starman" costume from David Bowie's appearance on "Top of the Pops" in 1972 is displayed at the "David Bowie is" exhibition at the Victoria and Albert museum in London on March 20, 2013. The exhibition featured more than 300 objects, including handwritten lyrics, original costumes, fashion, photography, film, music videos, set designs and Bowie's own instruments. 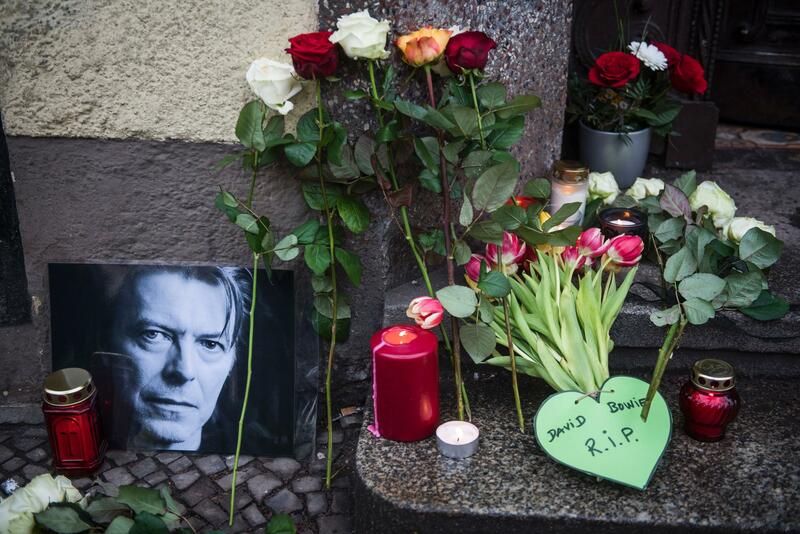 Tributes to the British rock legend are seen outside his former home in Berlin on Monday. Bowie died after a long battle with cancer, according to his official Twitter and Facebook accounts. 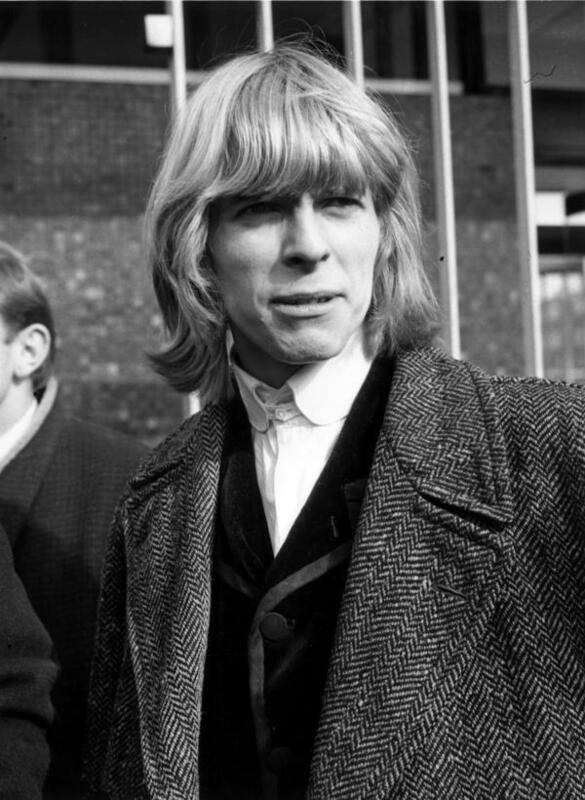 David Bowie in 1965 when he was known as David Jones. He changed his name that year. Legendary rock musician David Bowie, who influenced generations of musicians and fans, died on Sunday, two days after his 69th birthday. A statement posted on his Facebook page and confirmed by his publicist, Steve Martin, said Bowie died peacefully, "surrounded by his family after a courageous 18 month battle with cancer." On Friday, his birthday, Bowie released an album, Blackstar, that he made in collaboration with a quintet of jazz musicians. The surreal music video for one song on the album, "Lazarus," is quintessential Bowie: It features a dead astronaut, creepy figures, strange religious overtones and Bowie singing — at first, blindfolded. Bowie's work often addressed inner truths and existential questions. He was always morphing his sound and his look. He even changed the name he was born with: David Robert Jones. Born on Jan. 8, 1947, in South London, Bowie was the son of a waitress and a nightclub owner. In 2003, he told Fresh Air's Terry Gross that as a child, he wanted to be a baritone saxophone player in the Little Richard band. He talked about getting blinded in one eye when he was 13. "My best friend hit me because I pulled his girlfriend. In his mind he had every right to do that. The best part of it, of course, is that we still remain very close friends," he said. Bowie said he started playing in a rock band when he was a teenager. "It was a real trip to have girls wave at you and smile and everything just because you opened your mouth and sang," he recalled. "But really, I guess, what I really wanted to do more than anything else was write musicals. But because I liked rock music, I kind of moved into that sphere, somehow thinking that somewhere along the line I'd be able to put the two together." Mixing rock music and theatricality is what Bowie did throughout his musical career. In 1969, he released a hit song, "Space Oddity," about a fictional astronaut named Major Tom who is lost in space. In the early 1970s, Bowie was an icon of glam rock, wearing androgynous clothing and eye makeup, with chopped, bright-red hair. He became known for creating alter egos such as Ziggy Stardust. He said that character defined him in many ways to some fans. "That's me in the American eye," he said with a smile. "But in fact in Europe I'm more, kind of, this bloke what writes lots of stuff. A greater number of 26 or so albums that I've made are [better] known in Europe than they are in America." Bowie also had a successful acting career, including his role as an alien trying to help his dying planet in the 1976 Nicolas Roeg film The Man Who Fell to Earth. Bowie also played the Elephant Man on Broadway and Pontius Pilate in the movie The Last Temptation of Christ. Throughout the years, he continued to write songs about being an outsider, mixing rock, jazz, disco, pop, soul — whatever genre he could think of. In keeping with his multifaceted career, Bowie was set to be honored at a concert at Carnegie Hall. His musical Lazarus began an off-Broadway run last month. Bowie's songs were anthems for generations of fans who felt alienated or different. As many of them noted on social media after news of his death, the stars look very different today. People around the world have David Bowie lyrics in their heads, ground control to Major Tom, they were the young Americans, turn and face the strange changes. We could go on. That makes it especially strange to think that David Bowie is gone. A statement on his social media account says he died after fighting cancer for 18 months. Here's NPR's Mandalit del Barco. 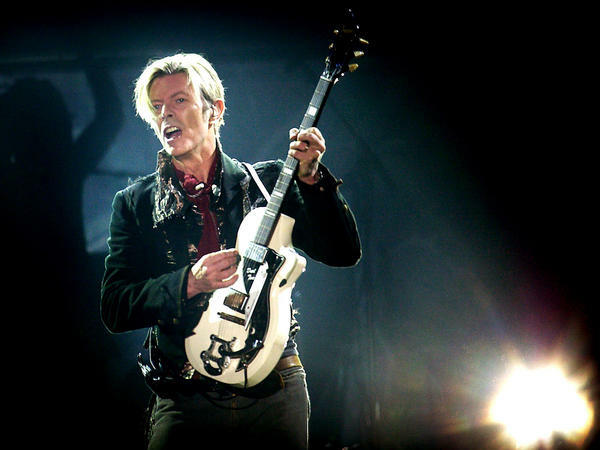 MANDALIT DEL BARCO, BYLINE: On Friday, David Bowie turned 69. And that day, he released his final album, "Blackstar," a collaboration with a jazz quintet. BOWIE: (Singing) Something happened on the day he died. Spirit rose a meter and stepped aside. DEL BARCO: The surreal real music video to one song on the album, "Lazarus," is quintessential David Bowie. A dead astronaut, creepy figures, strange religious overtones and Bowie singing at first blindfolded. In keeping with his multitalented career, Bowie was also getting ready to be honored at a concert at Carnegie Hall. And his off-Broadway musical "Lazarus" began last month. Bowie's work often addressed inner truths and existential questions. He's gonna to have to be a different man. DEL BARCO: David Bowie was always morphing his sound and his look. He even changed the name he was born with, David Jones from South London, the son of a waitress and a nightclub owner. He told Fresh Air's Terry Gross in 2003 that as a child, he wanted to be a baritone saxophone player in the Little Richard band. He told about getting nearly blinded in one eye when he was 13. 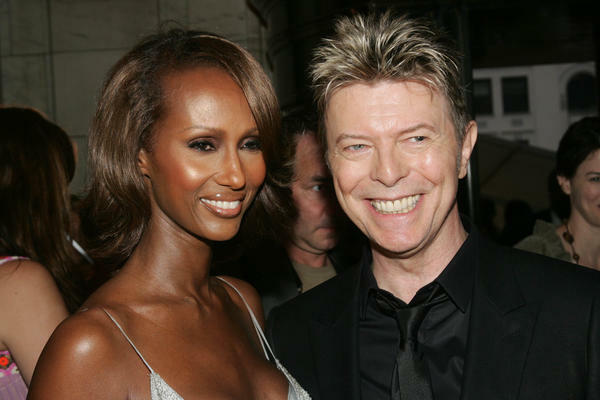 BOWIE: My best friend hit me because I'd pulled his girlfriend. In his mind, he had every right to do that. The best thing part of it, of course, is that we still remain very close friends. DEL BARCO: Bowie said he started playing in a rock band when he was a teenager. BOWIE: It was a real trip, you know, to have girls wave at you and smile and everything just because you opened your mouth and sang. But really, I guess what I really wanted to do more than anything else was write musicals. But because I like rock music, I kind of moved into that sphere, somehow thinking that somewhere along the line I'd be able to put the two together. DEL BARCO: Mixing rock music and theatricality is what David Bowie did throughout his musical career. In 1969, he released his first hit song, "Space Oddity," about a fictional astronaut named Major Tom who is lost in space. BOWIE: (Singing) And I'm floating in the most peculiar way. And the stars look very different today. DEL BARCO: In the early 1970s, Bowie was an icon of glam rock, wearing androgynous clothing and eye makeup with chopped bright red hair. 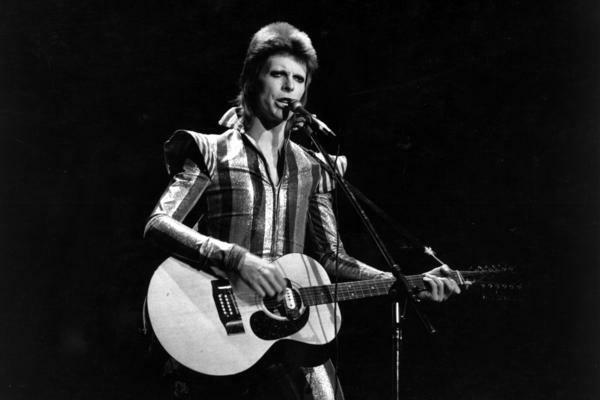 He became known for creating alter egos, such as Ziggy Stardust. He told Fresh Air that character defined him in many ways to some fans. BOWIE: That's me in the American - frankly, in the American eye. But in fact, in Europe, I'm more kind of this bloke what writes lots of stuff. And I'm kind of, you know - a greater number of the 26 or so albums that I've made are known in Europe than they are in America. DEL BARCO: Bowie also had a successful acting career, including his role as an alien trying to help his dying planet in the film "The Man Who Fell To Earth." BOWIE: (As Thomas Jerome Newton) My first day here, I shall die. DEL BARCO: Bowie also played The Elephant Man on Broadway and Pontius Pilate in the movie "The Last Temptation Of Christ." Throughout the years, he continued to write songs about being an outsider, mixing rock, jazz, disco, pop, soul, whatever genre he could think of. BOWIE: (Singing) Let's dance. Put on your red shoes, and dance the blues. BOWIE: (Singing) She was a young America all the way from Washington. BOWIE: (Singing) Rebel Rebel... Torn your dress. DEL BARCO: David Bowie's songs were anthems for generations of fans who felt alienated or different. As many of them noted on social media after news of his death, the stars look very different today. Mandalit del Barco, NPR News. Transcript provided by NPR, Copyright NPR.